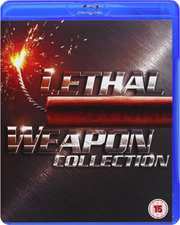 Lethal Weapon Four sees Riggs and Murtaugh return in the most lethal instalment yet. Riggs and Murtuagh have certainly been through a lot together but are about to be put to the test as they take on ruthless triad Wah Sing Ku who is trying to break his villainous brother from prison. Co-starring Chris Rock as Detective Lee Butters and of course Joe Pesci as Leo Getz.